This will probably be my shortest post for Blogtober, I’m feeling pretty rough today and I’m not a huge You tube fan but I am so keen to make sure that I have written every post in October, I can’t fail on the last day! I’m not a vlogger and I don’t watch many videos online. It’s just not me, I’ve loads of admiration and respect for those creative enough to film, edit and produce videos, it’s a real credit to their talent and they deserve the recognition and credit for their work. I use You Tube a lot for work, every assembly usually contains a very short video to introduce a topic or a song linked to the theme, so I appreciate the medium for the help it gives me at work. I also enjoy Ted talks which cover so many topics, there is always something to inspire and reflect on Ted. 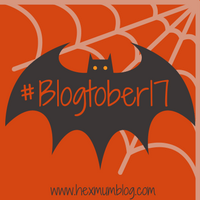 So that’s it for #blogtober17, I do want to write another post about the project and to thank Mandi for hosting it, I’ll just save that for a day when I’m not feeling so nauseous.